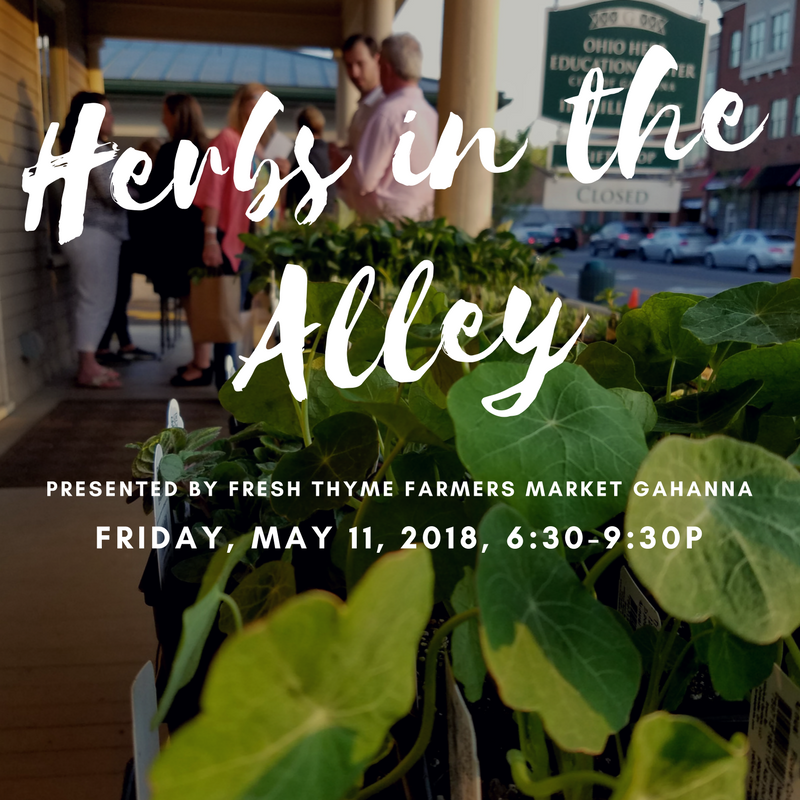 On Friday, May 11, spend an evening with friends mingling among the herbs in support of the Ohio Herb Education Center. Our experts for the evening include Mark Miller of the Franklin Park Conservatory and Susan Liechty of the Herb Society of America. They will discuss their favorite uses for herbs as well as their gardening tips for the season. Local herbalists, who have taken their love of herbs and created a variety of artisan goods, will have their wares displayed for purchase. Strike up a conversation about their favorites, and discover the secrets of their techniques! Local wineries and a food truck will also be on hand for wine flights and a light meal. The “mystery herb”, a new herbal varietal that will only be sold during this event. Proceeds from this event support the Herb Center’s mission based programming and a portion of each ticket is tax deductible. This event is rain or shine. 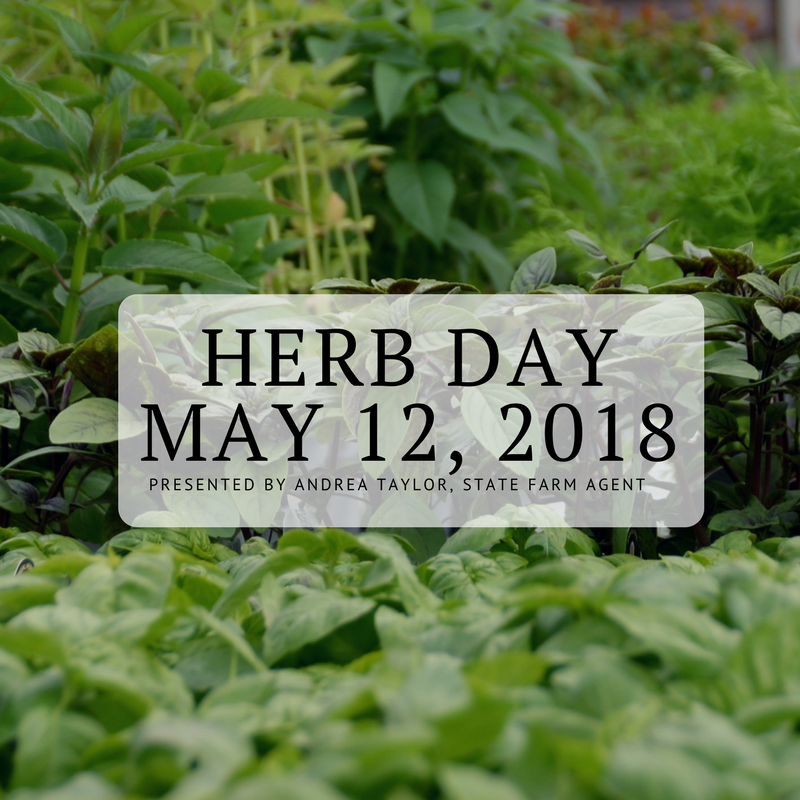 If you sign up by 3/31/18 you can pre-order your herbs and they will be awaiting you at this event. Herb Day is a one-day, annual celebration of all things herbal for the local Gahanna community and the region. The celebration is a free learning event with six speakers who cover topics of culinary, craft, traditional medicines and gardening. Fifty local vendors, a majority who make their own herb-based products, sell their products to the public. And we would be remiss if we didn’t mention the biggest draw for the event…the herbs. With over 4000 plants to choose from, plant lovers can find a variety of culinary herbs for their gardens. 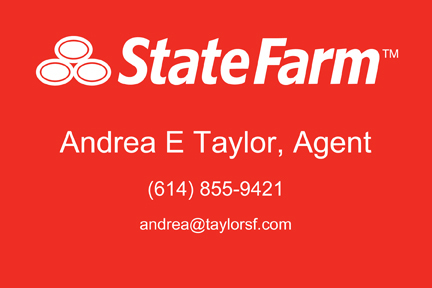 This event is presented by Andrea Taylor, State Farm Agent, who has generously supported this event for the last four years. Ohio is home to a wide assortment of beautiful and colorful butterflies. Learn how you can turn your landscape into an attractive food source for these and other important pollinators. Luke will discuss many of the common pollinator plants native to Ohio and how to select the right ones for your landscape. Since 2000, Luke has served as the Executive Director of The Dawes Arboretum, a nearly 2,000-acre public garden and natural area dedicated to plant and habitat conservation, education and research. Under his leadership The Dawes Arboretum today is recognized as one of North America’s top arboreta and is one of only 22 fully accredited arboreta in the world. A hot cup of tea can provide much more than just flavor. Certain herbs are particularly high in vitamins, others are supremely relaxing, and still others can be uplifting and invigorating. Learn how easy and effective it can be to incorporate a special cup of tea into your daily self-care routine. Aniko of Wild Origins is an herbalist, maker, and educator whose interests lie in the intersection between nature, self-empowerment, and self-care. Her herbal workshops help others find the power that herbs have to bring their bodies and minds into balance. What beers goes best with shellfish? Rich meats? Cheese? Creamy desserts? Discover the magic of Hops in brewing beer and in inspiring culinary creativity. Meet “Pants,” master mixologist with Kindred Brewing and an aficionado of the history of spirits and brewing. He will present an interesting look at Hops—its properties and uses, as well as a discovery of what craft beers pair best with different cuisines. Participants will go home with a Craft Beer & Food Pairing Guide. Sarah of Jeanne Wildherb Apothecary will be leading a backyard medicinal plant tour around the Ohio Herb Education Center and the Creekside Plaza Trails. We will identify and examine the common backyard medicinal plants that grow freely in our backyards and in central Ohio’s parks while also learning about the body systems they support and nourish. Sarah Clement is a practicing herbalist in Columbus, Ohio, who enjoys wildcrafting and teaching about plants. She is the owner and creator of Jeanne Wildherb Apothecary, a small business focused on sustainably harvested, small-batch herbal preparations. She also offers community herbal classes, experiential youth clubs, and wild plant walks. Drying herbs on the stem is an ancient tradition, simple and effective. After stripping off the tender leaves, though, one is left with a pile of woody stems, still aromatic but not suitable for most culinary applications. The modern inclination might be to toss them or at least compost them. But continuing to think within that historical context, one realizes that small herbal whisk brooms, fashioned from those same leftover stems, would have served a very useful function in the pre-modern household, much like today’s hand vacuums! And with the obvious added advantages of fragrance and, given a little skill and imagination, beauty. Herb farmer Janell Baran will demonstrate the vanishing art of broom-making, using common garden herbs to create simple yet functional and attractive whisk brooms. Janell Baran has been growing herbs for close to 30 years in environs ranging from a 3rd floor balcony in Southern California to the 130-acre tree farm where she now lives in Central Ohio. In 2005 she quit her day job and took up herb farming full-time as the proprietor of the Blue Owl Garden Emporium herb farm. Located among the hills and hollows of NE Licking Co., the herb farm is home to hundreds of useful plants from around the world. Culinary, medicinal, and crafting herbs are sold fresh-cut and/or dried year-round at local farmers markets. Interested in Being an Herb Day vendor? If savoring new food combinations, unique blends of aromas and seasonings, and truly inspired recipes appeals to you—then so will Visit Gahanna’s Herb’n Restaurant Week which is May 6-12, 2018. True herb enthusiasts can dine at a different Gahanna Herb’n Restaurant Week eatery every night that week, pairing each meal with a different selection from Visit Gahanna’s Herbal Cocktail Trail Passport. Finish out the week by attending the Herb Day celebration and shopping from among hundreds of varieties of fresh herb plants for the garden or home cooking. For a list of special Herb’n Restaurant Week menu items or more information, go to VisitGahanna.com.